When you move to the countryside, it can be difficult to decide what to do with your new country home. Especially if you’re used to living in the hustle and bustle of an inner city. Country homes are pretty different to those built in the cities. They’re generally larger and older and built in a completely different manner. It doesn’t help that almost every interior design blog or article tends to give advice aimed at those living in inner cities with apartments, studio flats, and townhouses. 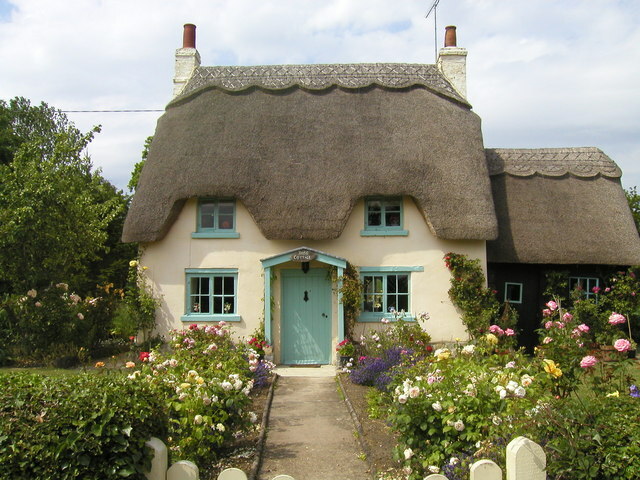 But not to worry, when it comes down to it, there are endless ways to give your country home a little rural charm through the redecoration process. Here are a few ideas to get you started. The exterior of your home is the first thing that people will see when walking past or pulling up outside. So make sure that you make a good impression. Inner city homes tend to have little that can be changed when it comes to exteriors. You can’t exactly do all too much to spruce up the exterior of an apartment in a block or a shared building. But homes in the countryside are more likely to be detached. When they are their own, separate entities, you have more control over decorating the outside. They also often have front gardens, which is an extra added bonus. So where to start? This is a minor change to your home’s exterior that you can get done by yourself in no time. Put some old overalls on and roll up your sleeves. Choose a brand new color and try to find it in a high-gloss tone. Go with whatever takes your fancy. Duck egg blue gives an old country house vibe, so is a highly popular choice. Mustard will add a touch of color to your home. Black is neutral and inoffensive. Red is bold and daring. Remember to put masking tape on the hinge, so you don’t get any excess paint on the frame. Also, tape around the letter box, to avoid paint marks on the metal flap. If your door has a number screwed on, you might like to try removing it and then screwing it back on once you’re finished. This is easier than trying to paint around more intricate shapes. Remember to let anyone going in and out that there is wet paint about and to avoid touching the door’s surface until it is fully dried. Climbers are a type of plant that grows up walls. They look so beautiful on country homes. For a classic and traditional take on your property, try planting ivy. This plant has delicate leaves and will establish itself up against the face of your home relatively quickly. If you’d prefer a flowering plant, try wisteria. This will bloom purple in the summer months and add a touch of subtle color to your home. If you want something bolder, try roses. Big, red roses will make your home’s facade look like something taken directly from a fairytale. If you’re reluctant to try out climbing plants, there are alternatives available. Hanging baskets are lower maintenance and are more contained. Hang one from a hook near a ground level window. Another option is window boxes. You can use these for any kind of plants. Consider growing your own herbs in some below the kitchen window for a fresh scent around your property and something homegrown to use in your cooking. If the entrance to your home doesn’t have a gate, consider having one installed. This is great if you have little ones or pets around who want to play in the front garden. A small gate will secure the space (though you should always supervise children and pets in gardens anyway). A small, metal gate makes for a sweet feature. For an extra special touch, you could have a personal little sign made to hang from it. Perhaps with your house number, house name or family name on it. When it comes to decorating your home, bedrooms should take priority. Why? Because they are the most personal and intimate spaces. They are where you sleep and get your night’s rest. It’s also where your most personal belongings are stored. So make it special! The two most important aspects of any bedroom are comfort and tranquility. So make yours the most relaxing space possible. Make sure that you change your mattresses every eight years at least and change your bedding regularly. You will get a much better night’s sleep on a supportive mattress in fresh bed linen. Have an embroidered or patchwork blanket folded at the end of the bed, so you can cozy up on cold winter’s nights. Your bedroom furniture should reflect your personal tastes and your personality. It should also be high quality. Hardwoods are an ideal option, both in terms of reliability and aesthetic. You won’t have to worry about drawers falling apart and the furniture is easily matched together. The kitchen is the heart of the home. So make sure it serves its purpose well. If you find that your kitchen is old fashioned or outdated, it may be time to consider a renovation. Gutting out the interior and putting new fittings and appliances in place doesn’t necessarily mean that you have to make everything look ultra modern. You can have new appliances with a vintage design and feel. This means they are safe and reliable at the same time as looking homely. Aga ovens give a cozy country vibe, as do SMEG refrigerators in neutral tones and stove-top kettles. For flooring, consider tiling. This is practical, as it is easy to clean food spills and messes. Brown tiles also have a farmyard feeling about them. You can almost see the farm cat rolling around on them and a stray chicken clicking his claws over them. Small features will make all of the difference too. Egg baskets, bread bins, and vintage milk jugs will add a certain rural charm to the whole picture. Next Post Let’s Dine Away!